DanceSyndrome is very excited to announce that Arts Council England have chosen to support the charity’s new project entitled “Orbit”. 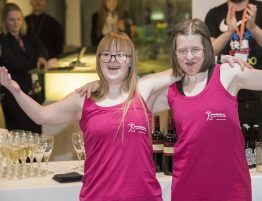 The project is a new approach for DanceSyndrome, allowing the dance company to develop some extremely creative new dance pieces. The project will start with a piece of improvised dance based around the “Another Place” sculptures by Antony Gormley installed at Crosby beach. The improvisation will be filmed and used as a backdrop for a series of live performances in venues in Lancashire and Greater Manchester. 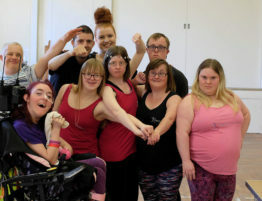 DanceSyndrome will develop some of the content for these performances at creative workshops in those venues, enabling local people to join in with the dancing and influence the content of the live shows, which will combine group performances, duets and solo pieces. 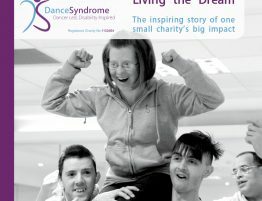 The project is enabling DanceSyndrome to work with respected choreographer Aya Kobayashi who will work with the company over four days to create a company piece and inclusive practitioner Rachel Liggitt who will offer artistic mentoring to creatively weave the work together and develop workshop content to be delivered in the final stage of the project. 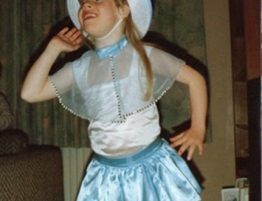 If you would like more information about Orbit, please contact the DanceSyndrome team via email at info@dancesyndrome.co.uk. More information about the project will be added to the website soon. 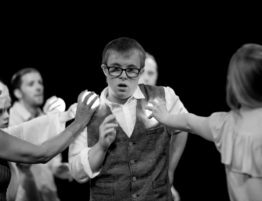 DanceSyndrome would like to thank Arts Council England for supporting this exciting new project!